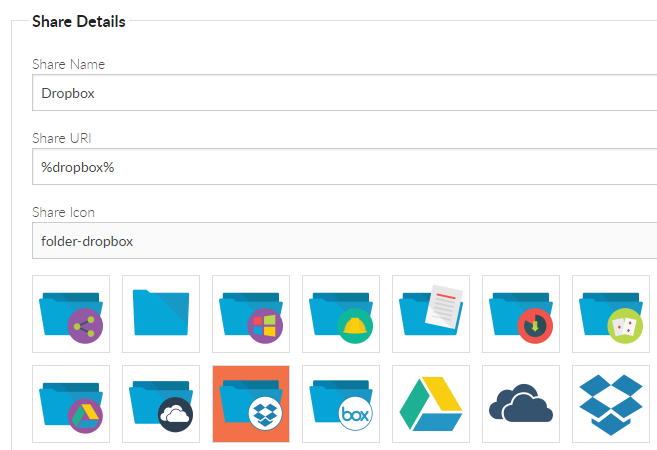 Both personal and shared Dropbox storage accounts can be presented to a user. 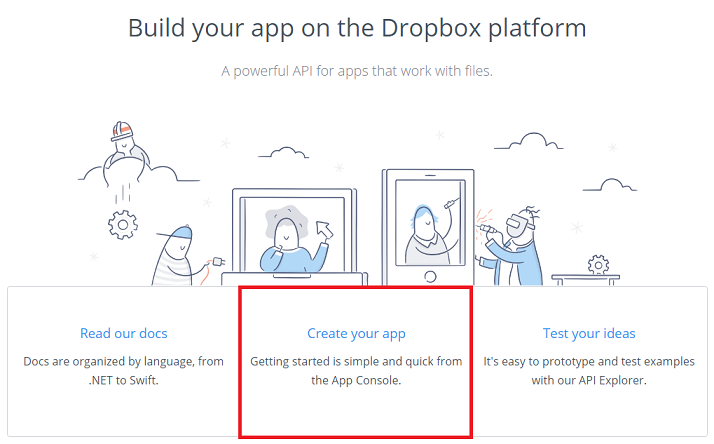 This article covers configuring the Dropbox developer console and Foldr to allow users to manually link their Dropbox accounts. 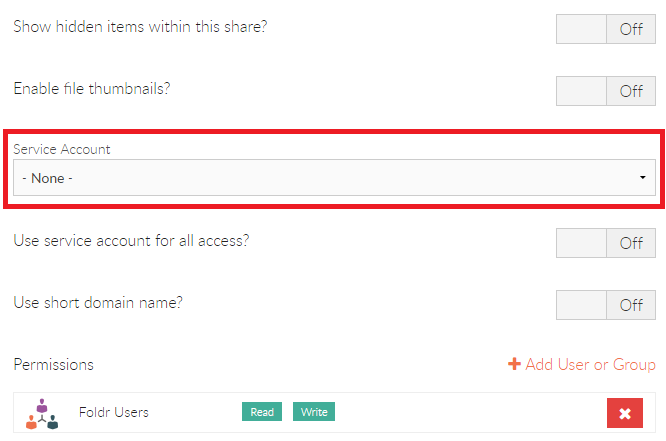 Once administrator has completed the Dropbox integration steps below a new global share must be added to the configured shares list using %dropbox% as the Share path / URI. 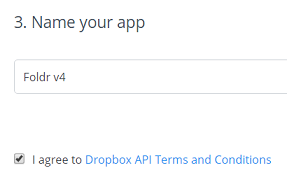 Dropbox will become available in the user’s My Files section of the interface once they have linked their Dropbox account. You will be presented with the app configuration / summary screen. The default setting will only allow a single user to connect to the app using the API so this needs to be increased. 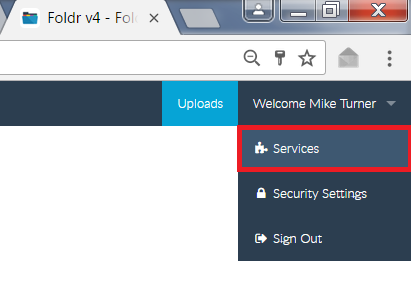 This will raise the limit from 1 to a maximum of 500 users, if you need to go beyond this you will need to ‘Apply for production’ using the button shown on screen and following the prompts. The status of the app will be ‘Development’ until you apply for production, but in most deployments, this isn’t necessary to apply for production. There is no difference between production and development status other than the removal of the 500 user limit. 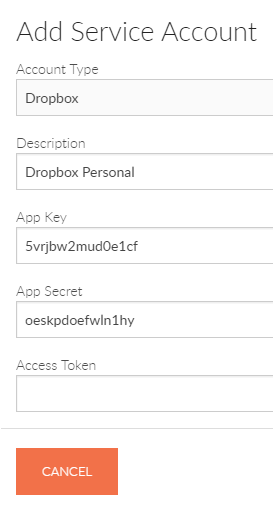 The Access Token should be left blank as this service account is being used to link personal accounts. 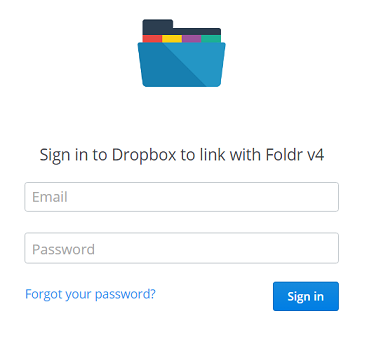 creating shared Dropbox shares that you intend to publish to multiple users. 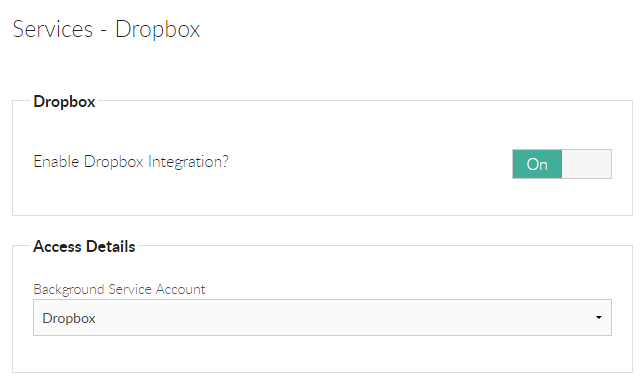 Now that the Dropbox integration steps have been completed, users will be able to log into the web interface and link their Dropbox account. 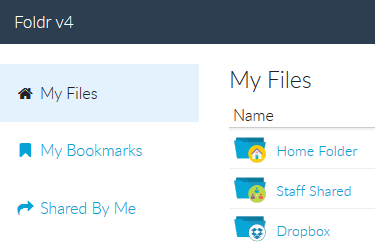 The user should now see their personal Dropbox share in Foldr across web, Android and iOS apps.